There is a Mr. Linkey this week though! So, i wanted to share a few pictures with you from my trip to Ontario for TangleON back in October. but i'm going to make this quick. i think i may upload more photos to my facebook page though. I had such a great time and met some really amazing people!! Brenda even got a photo of me....GASP....teaching!! I had the world's most awesome Tour Guide - Yvonne!!! So, i was so lucky to have Yvonne Westover as my tourguide, and not only that but she opened up her home to me for the extra days i was in town and she's wonderful and i luff her. Okay, so really i could probably write about this experience for ages - but the thing about this blog is that more often than not i am working on my post into the wee hours of Sunday night (or Monday night in today's case) - case in point, it's currently 11:24 pm on Monday night (in fact - i can tell you that last week when i forgot the linkey machine i was literally falling asleep at my computer). It seems that the days are getting harder to find those little windows of tangling time and i have to cram everything into one night to make sure i have something to post for you each Monday morning. I still wrestle each week with what i should share - how much i should share, does anyone care about the weekly recap or am i just doing that for myself at this point? is the recap of interest to anyone, should i just cut to the chase and get to the challenge? Maybe i should skip the recap entirely and just post the challenge.... this is what i think each week, and have done each week for the last almost eight years of this blog. So, any kind of feedback is appreciated. what do you like, what don't you like, what would you like to see more of or less of, do you want a facebook group, or are there already eleventy-billion of those? if you have an idea, now is your time to shine baby!! So, when i landed in Toronto back in October, my new BFF Yvonne picked me up from the airport and brought me home like a stray kitten, she fed me and watered me, and then 45 minutes later her home was filled with some wonderful CZTs from the Toronto area! She had arranged for some of the CZTs who weren't going to be attending TangleON to come to her home and i got to hang out with the best ladies. 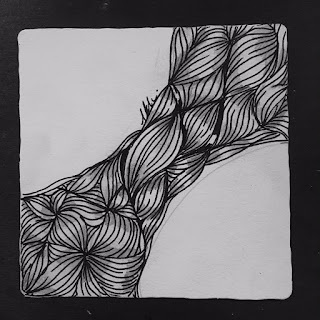 Together we all tangled the tangle of that day for Inktober tangles, which was Dewd, but she had us al use the same string, which basically was two semi circles on the corners of a tile. 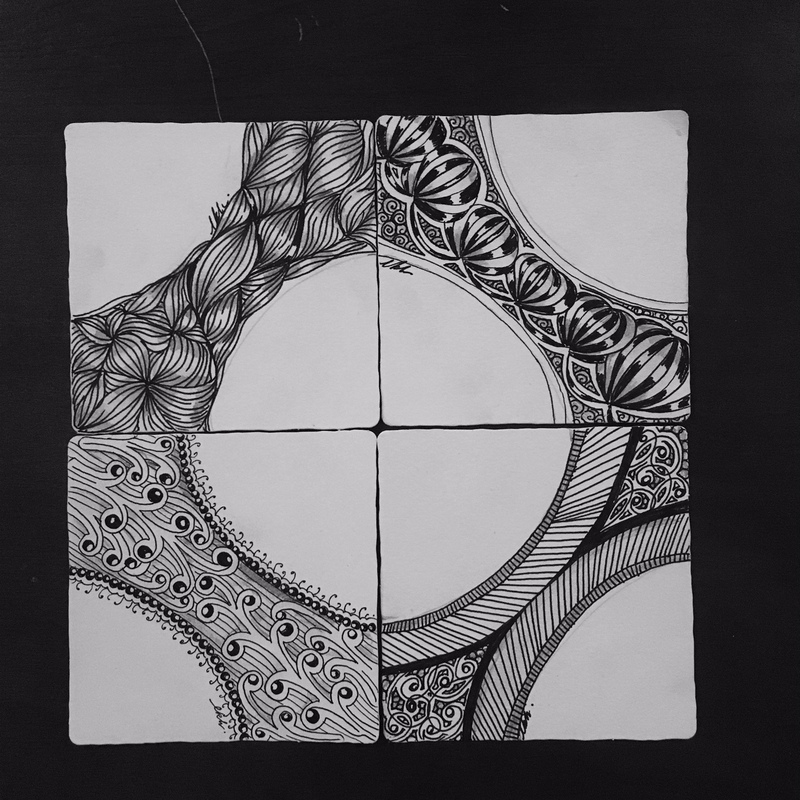 She had us all line our circles up with a tile she had already done so that when we were done we could assemble the tiles into a really cool mosaic. So this week's challenge is the two semi circle string that Yvonne taught me! 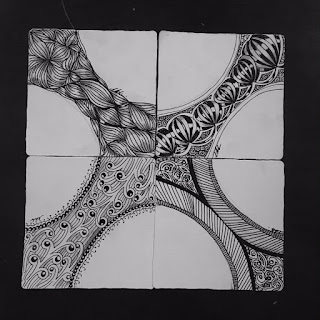 I've been having some fun with it, and this week i couldn't do just one, i ended up doing 2 complete tiles and finishing one i had started in Ontario so i could have 4 tiles to put together into a mosaic. 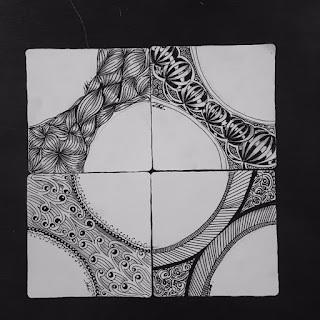 If you're going to try to do a mosaic make sure that your start and end points of your circles line up before you tangle them. 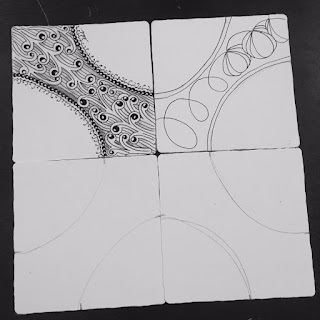 I tried to make sure that the circles lined up so that the mosaic would work - but literally the challenge is just the ONE tile with the two semi circle string - so i leave it up to you to do as much or as little as you like. 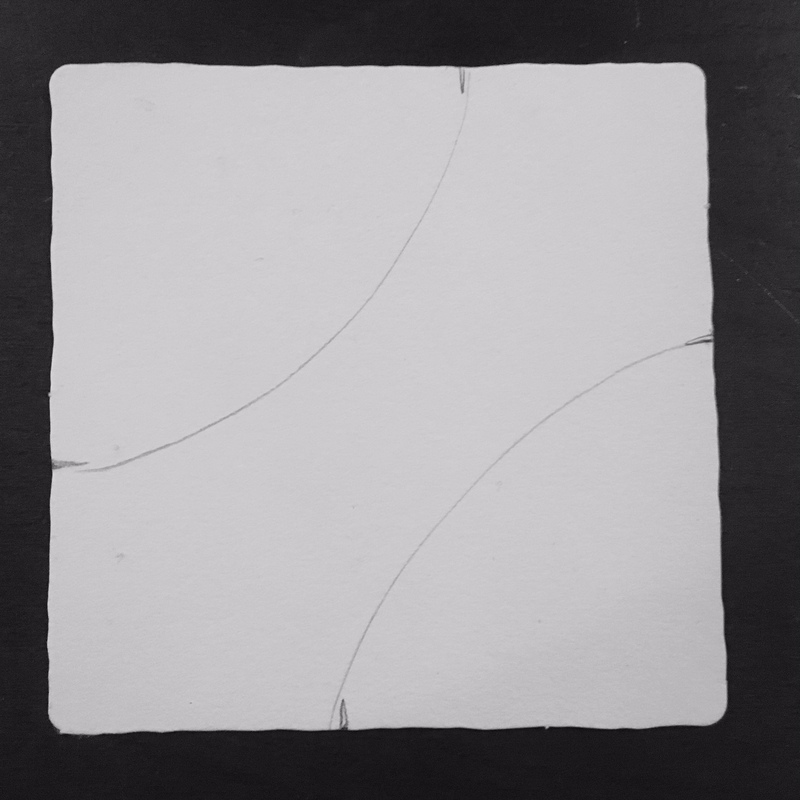 I had so much fun with this SIMPLE string, that i'm probably going to come back at some point and revisit the concept. thanks for everything Yvonne, including this string, and thanks you guys for hanging in there guys. And if you're on the Zentangle Mosaic App or Instagram - i'm @iamthediva - come on by and follow me, and i'm going to be using hashtags on the app for each of my weekly challenges. So if you're game - use the hashtag #DC376 (Diva Challenge #376) for your tile this week! You can also search in the app for people's contributions to the challenge by clicking on the hashtag from inside the app, or using the search function. I'm really intrigued by this challenge! I'm actually thinking about using this string for future challenges when I need to try out a new tangle - Eventually I'll have a huge mosaic. And it's your choice, but I do enjoy hearing about what you and your family have been up to! I love hearing what you and your family have been doing BUT...if you are struggling to write all of that plus the challenge every week, I would understand if you needed to drop either the family report or even the challenge. I hate to thing this is just becoming a major source of stress for you instead of fun. There are alternatives, like post the challenge only and then write your family stuff at your leisure (remember leisure??? I hope you have some!) and put a link in the challenge to that. Or other possibilities. I really love both, but you gotta save time for yourself...take care of yourself. I have always appreciated to follow your "family adventures" AND the challenge: for me it's a perfect mix! I think I may have shared with you before. I came for the zentangles and stayed for the family. It is fun seeing the kids grow and see your family flourish. Having said that, I want you to do what works for you. 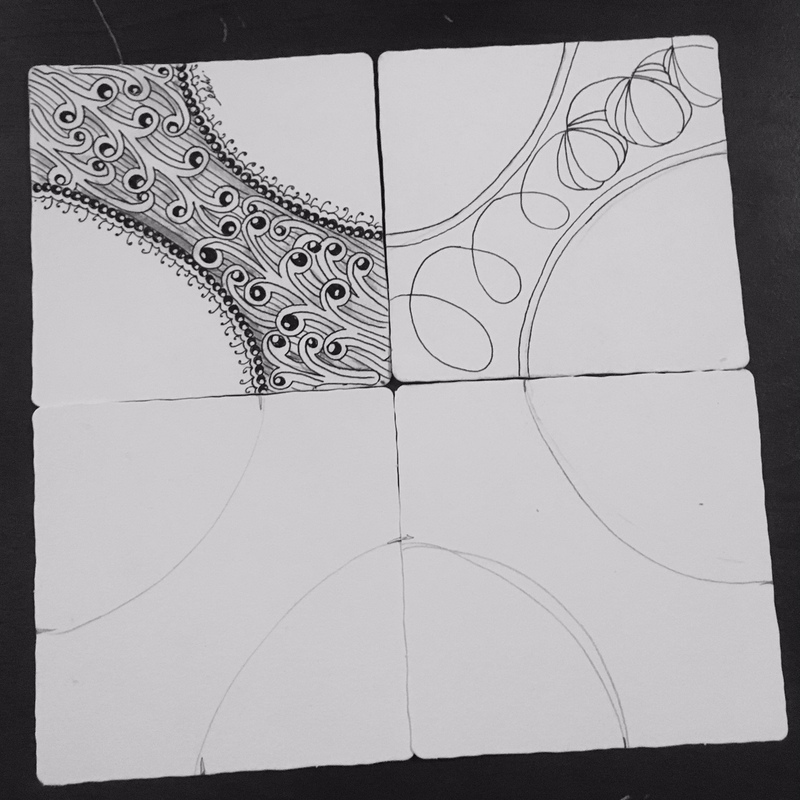 If you chose to zentangle only, I'll go over to FB to see how the family is doing. Stay healthy and stay happy. You are the best judge. I've been following (with some "vacations") for many years and have enjoyed watching your family grow. But...like the others above, I'd hate to think you felt obliged to do that. You need to do what works for you. If you enjoy it and want to share, then do. If not, don't put the extra stress on yourself. You have enough on your plate. Since you asked for feedback, I have a lot of trouble loading the page and reading it, even though I have a very high speed connection. It keeps popping up and down on my computer screen. I think it's because of all the ads, although I'm not sure. Obviously it doesn't stop me from reading, but I just wanted to let you know. I would be interested to know if others have this issue or it's just me. Thanks again for all you do for this great community. After several years of following, I’ll admit I read your blog for the family and weekly updates more than th challenge anymore. 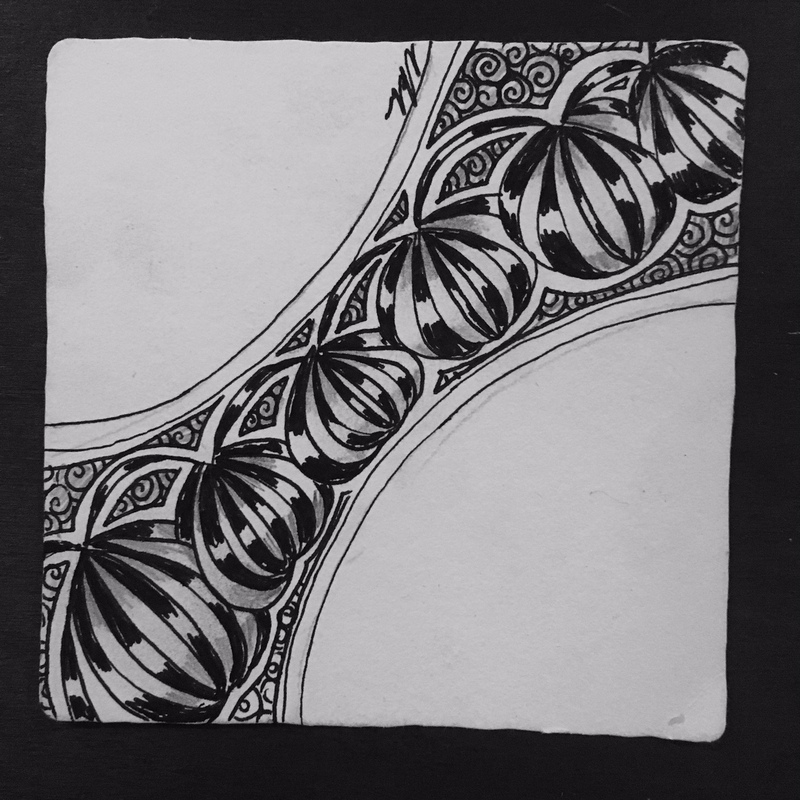 Used to follow a lot of zentangle blogs, but those that were just a photo of recent work or maybe a step out lost their interest in time. I always look forward to yours. Would it make your life easier if you relaxed the rules about posting weekly on Monday morning? I wouldn’t enjoy your blog less if it were biweekly, or came out “sometime” during the week. And I will be showing my love for you with a tip jar donation as soon as I’m back in front of my computer! I like the discipline of going to your challenge post each week. 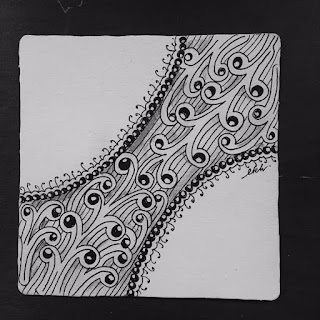 It encourages me to post a weekly Zentangle post on my blog with which I usually post something about things going on in my life. I think we've all enjoyed getting to know you and your family via your blog. My blog is mostly a travel blog, but my most popular posts have been ones where I've shared something of my personal life too. Go figure. I also follow your social media posts on Instagram. I kind of assumed that in your weekly blog posts that recapped your family life, that you were kind of keeping a public version of your diary which will be nice to have---and for your boys to have some day. Make sure you get it backed up to the cloud or printed out for them. I hope you'll keep up the weekly challenge, but don't feel compelled to post a detailed recap of your week for us---unless you feel like doing so at the moment. When you don't feel like writing a long post or are just too tired (we all totally get that! ), one option is to include a sentence with a link to your instagram account, something like, "If you'd like to keep up with my crafting and the Harms family's daily life, please follow me on Instagram: link to your instagram account." Laura, It is your choice whether you want to or not, with no obligations to do the recap of your week or just the challenge. Your Challenge has helped me so often through challenging times in my life and I always check in even if I do not have the time to do the challenge. I have loved getting to "know" your family, but you need to do what is best for you, so it's your decision. I do however really appreciate that you do your posting here for the challenge as I am not on facebook. It gives me a place to see what you and others are up to in the Zentangle world and I love that! Just take care of yourself first. I love your weekly challenge. It is only the third time that I partecipate and I am really glad to do it. Thank you for beeing there! Sorry , that I did have to post three times till I got it right. 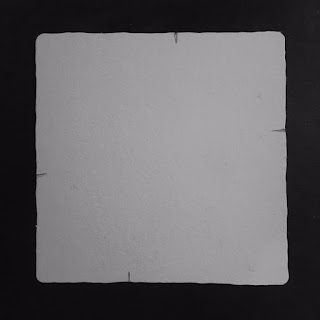 I appreceate your blog and your challenge. 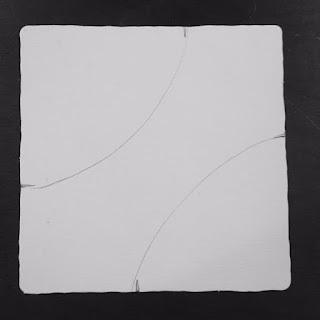 I've been reading your blog since I've done my first tile in spring 2017. 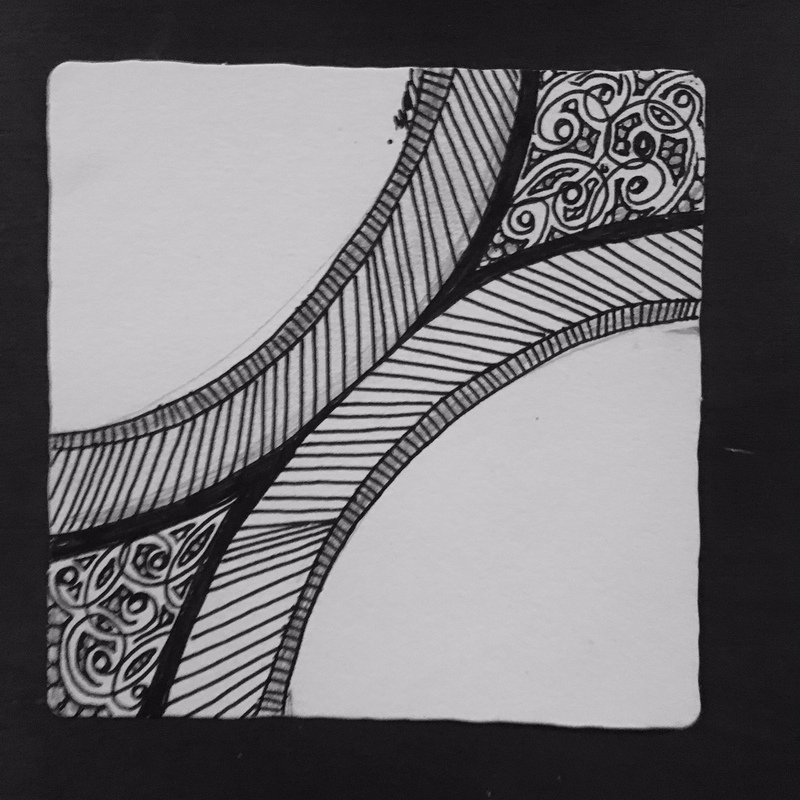 It is an important part of the zentangle-culture, and I love it a lot. 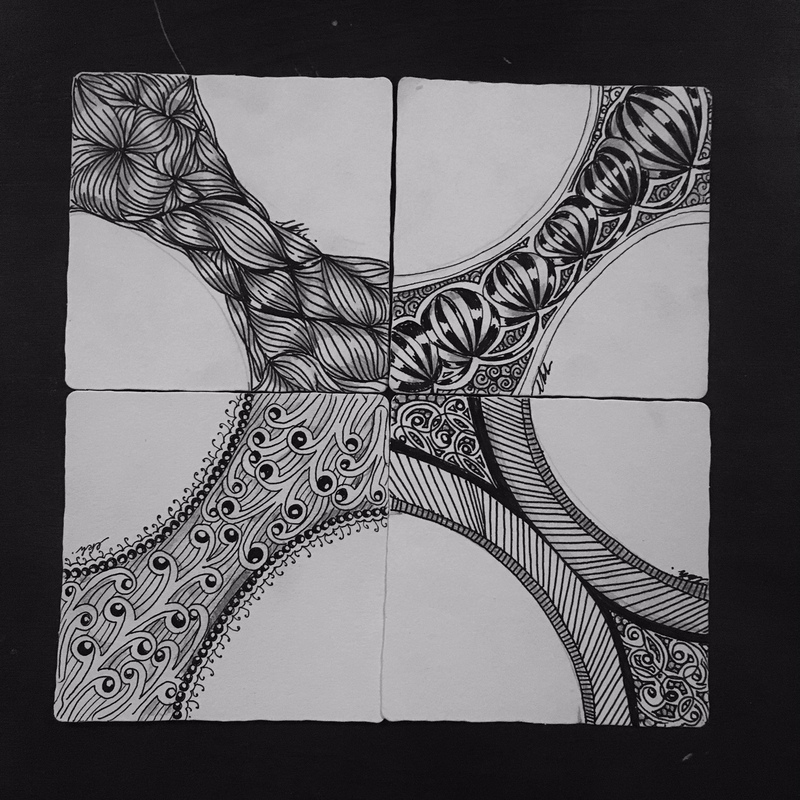 I think, it's the mix of reading about your family and being guided through a zentangle-journey. Thanks for all of it! I know how time consuming these posts can be, but clearly you have a mixed audience. Some come for family. Some come for challenge. Maybe just cut the family post down to one awesome photo and a short recap and then keep the challenge bare bones as well. Believe me, as the kids get older they'll need more of your time (unbelievable, I know).